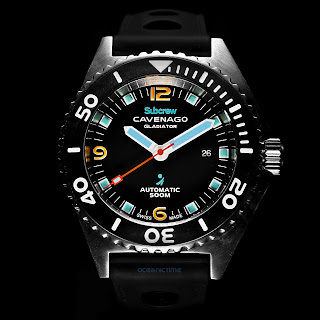 By TLex Cavenago of Italy and Subcrew of Hong Kong have collaborated on a very cool dive watch. 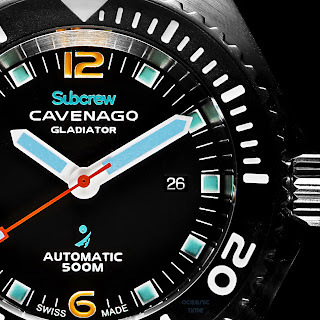 The Cavenago x Subcrew GLADIATOR is the first timepiece in a collection of unique models that mark the beginning of the partnership between the two brands. Subcrew is an iconic fashion brand founded by the famous Hong Kong movie star, Sam Lee along with a group of handpicked designers. ''The Subcrew brand concept can be described by the combination of Submarine and Crew which purport the crew stand fast at their posts, and fight shoulder to shoulder together. The team’s low-keyed behavior goes beyond borders with no limits''. The Subcrew Gladiator has been produced in a Limited Edition of just 100 pieces. 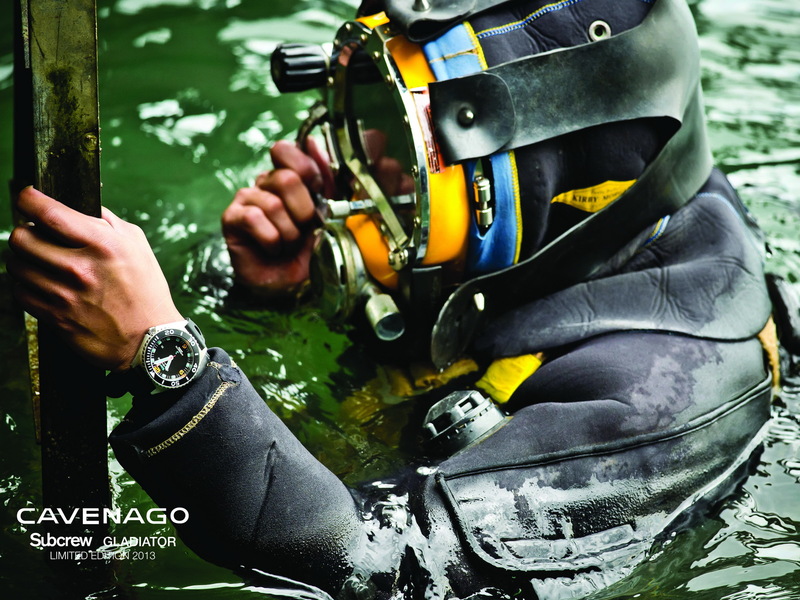 It is the evolution of the well known Cavenago model, the Gladiator MARIS. This is the first time that Arabic numerals have appeared on a Cavenago dial, which is typically characterized by its square indexes. The numbers on the dial at 6, 9 and 12 o’clock are in sporty orange, while the indexes and hands are in blue filled with SuperLuminova. A quick date display is at 3 o’clock. 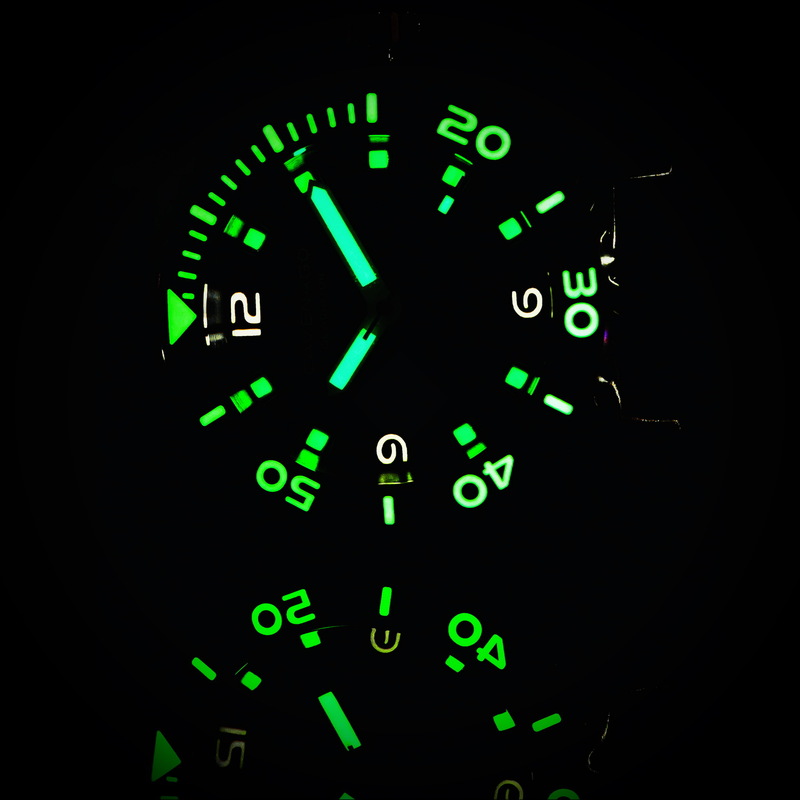 SuperLuminova has also been applied to the markers of the unidirectional rotational divers bezel. 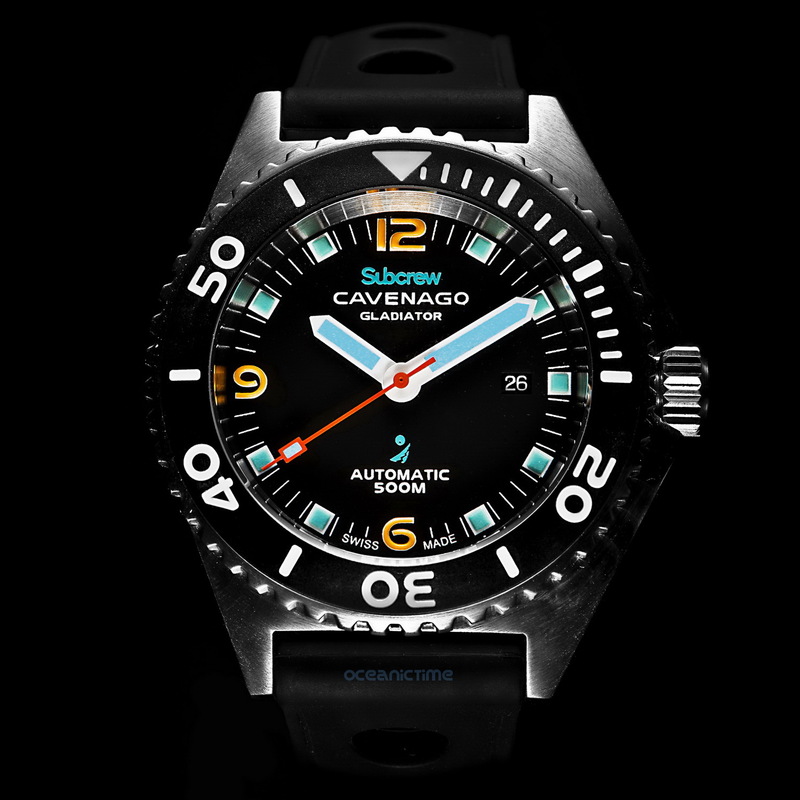 The Subcrew Gladiator is a professional diving instrument and as such has a water-resistance of up to 500 meters. Its 44mm Stainless steel case has a brushed finish. 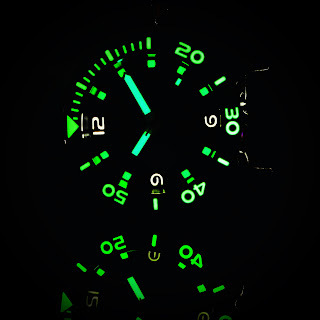 It is powered by a reliable Swiss made ETA 2824-2 automatic caliber. 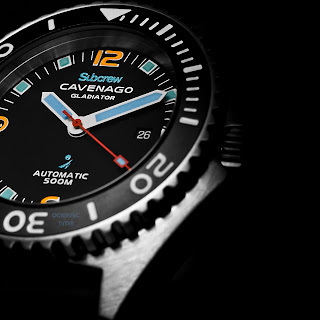 The watch has been hand-assembled in Switzerland as indicated by the ‘Swiss Made’ marking’ on its dial as is the same for all Cavenago models. 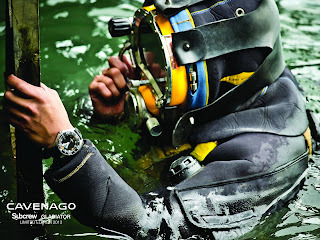 Divers features include: a flat Sapphire crystal, a screwdown crown and caseback, which are both signed with the Cavenago brand name and Subcrew logo as well as the watches water-resistance, some specification and the production year and number / 100. 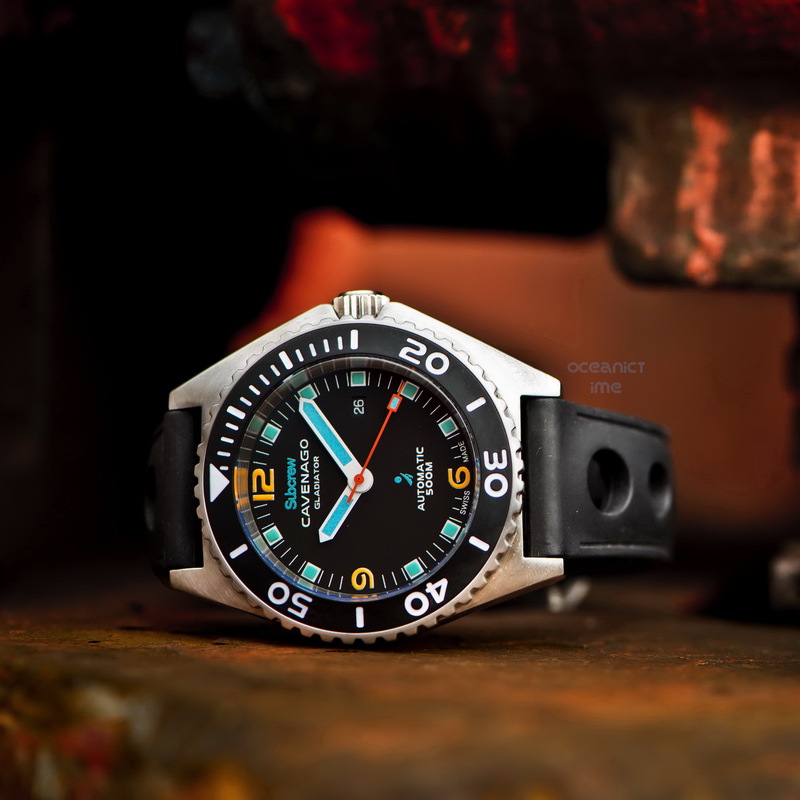 The watch comes on a black rubber divers strap with 6 characteristic holes, giving a vintage touch and as well as the functionality of the holes that allow transpiration and to dry and water to drain. During this exclusive event, the fruit of the collaboration between Cavenago & Subcrew, the Subcrew Gladiator model will be announced along with its pre-sales information. It is likely that the 2nd collaborative model from Subcrew Cavenago’s new collection will also be disclosed. Stay tune for more hot news from Cavenago coming soon . . .